Leslie Model 247RV | MOSweb Online! 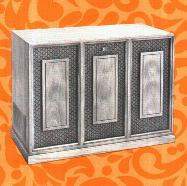 The model 247RV is the same as a 147RV, it is simply repackaged in the “Decorator Style” cabinet you see here. See also the 147RV page.